Congrats everyone for each journey and thanks to those who took time to write me a few words and cheer me up! Thanks so much for the note and apologies for the delayed answer. I’m on holidays and pretty much disconnected from emails and the internet in general. Once I come back to Miami I will continue with the diet because that was the real game changer in the way I was looking myself in the mirror. I've been away for many days traveling for work. My first stop was in Lima, Peru, where I was able to workout the second night in the hotel with no issues. However, the next day I went directly to a mine site at more than 3,000 M of altitude and the safety guidance recommended to avoid strong physical efforts, which I did, and interrupted the training those days. In any case, I suffered from "altitude sickness", and experienced multiple head aches, tiredness, and in some moments difficulty to breath. I am back in beautiful Miami at the see level, so I will try to catch with my workouts. I know it's not ideal to interrupt the program as I did, but I did not have choice but putting my safety first and follow the recommendations. Also, it was a good break for my knees. On another note I have to say that all the aerobic exercise I've done in the last few weeks really helped me to be stronger in the altitude and being able to visit the operation at almost 4000 M! Without Kenzai it would have been worse. Well, I have to start saying that I hate exercising and that's the reason why I never have done any workout in a regular basis. I find it boring, and not elegant at all. Also, since I do not have strength I feel that can't do most of the things or that I do them wrong. This is week 4 and I see I lost some fat (specially evident in my abdomen,) but I know that is a consequence of the diet (I've had similar results in my abdomen reducing sugars, carbs and doing some abs per day). I've been working out 6 days on week 1, 5 days on week 2 and 4 days on week 3. The reason of the workouts declining is because I am not finding motivation anymore. I am not seeing any results at all in my muscular tone and instead I wake up sore almost everyday. I am in the point of wondering if all these exercises are worth for me... I know we should not compare programs, but I remember I did power plate 2-3 days a week for 6 weeks and at this point (entering week 4) I recall seeing some results. So, maybe this does not make sense to you because you guys love exercising, but I just hate it, it takes a lot of me, and also I am not seeing anything happening. Additionally, I read about some "imperfections" in the face that also could happen at this point! Some??? My face is a disaster and looks like it did 20 years ago! I take good care of my skin because of my acne problems. I use special products to clean up and a dermatological solution, and that way I control the problem, and in general looks clear. But right now nothing is working! This part is really bothering me and I am wondering what to do or where this 'acne' situation is going to stop? I am sorry to throw all this frustration here, but my motivation is dangerously close to zero. I will stick with the diet but not sure if I am doing all this exercise for the rest of the program. Please give me some hope! This may be too soon, but I am feeling tired already. I do not have too much motivation left but I am doing my best to keeping it up. I am doing very good with the diet. I have cut a big portion of sugars (which I used to eat a lot) and I am not eating sweets or desserts at all. I got used already to eat snacks between meals and have a big breakfast. Actually both of them were easier than I thought. Removing carbs from dinner is going to be a big deal for me, but I think I can give it a shot this week and see how I feel. Every time you increase the intensity of the workouts I suffer. I am feeling I am reaching the top of my capacity and some days I find myself so exhausted that I need to take a nap once I get home from work. Still have issues with the push-ups; sometimes I end up with back pain afterwards, so I was wondering if I could replace them with Gym weights. Surprisingly, I am doing much better with the jumpropes. I do not end up short of breath anymore and I am not suffering with it. Hope the number of jumps does not increase too much! 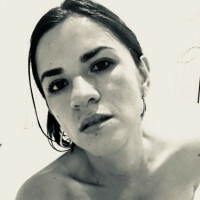 I am Ana, born and raised in Bogotá, Colombia. 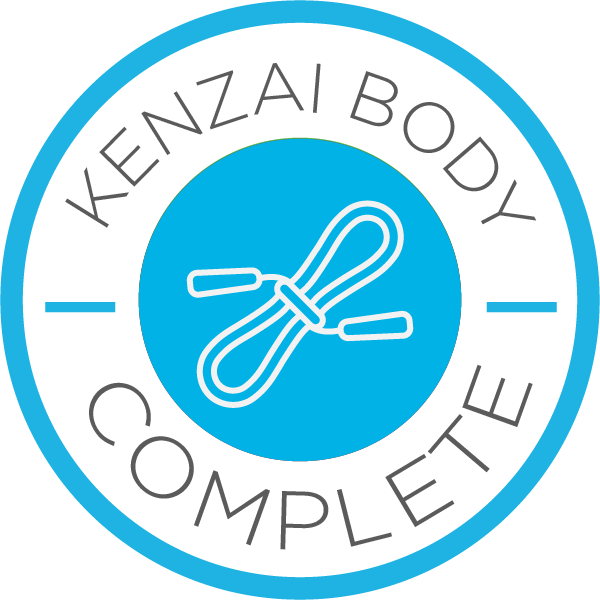 Now I live in Miami, FL, with my beloved husband Jorge who inspired me to join the program and who is also a Kenzai member. I have a privileged metabolism and pretty much can eat as much as I want without getting fat. I do not have any fitness culture integrated in my life and since I do have a regular meditation practice, relatively decent dietary habits (except for sugar that I love so much) I just want to find more balance in my body, muscular tone and get more energy. I completed 5 days in a row and happily found I can deal much better with the jumps and now don't feel that short of breath as day 1 (first big chance I am noticing). The push ups are incredibly hard for me as I do not have arms strength. I think I am using more my back and today I woke up a little bit sore in the middle back. Is there any substitutions for the push ups? This is just a brief check-in to celebrate my day 3. To me it's such a big deal as this is probably the first time in my life I have exercised for three days in a row. P. S. I'll be introducing myself soon!